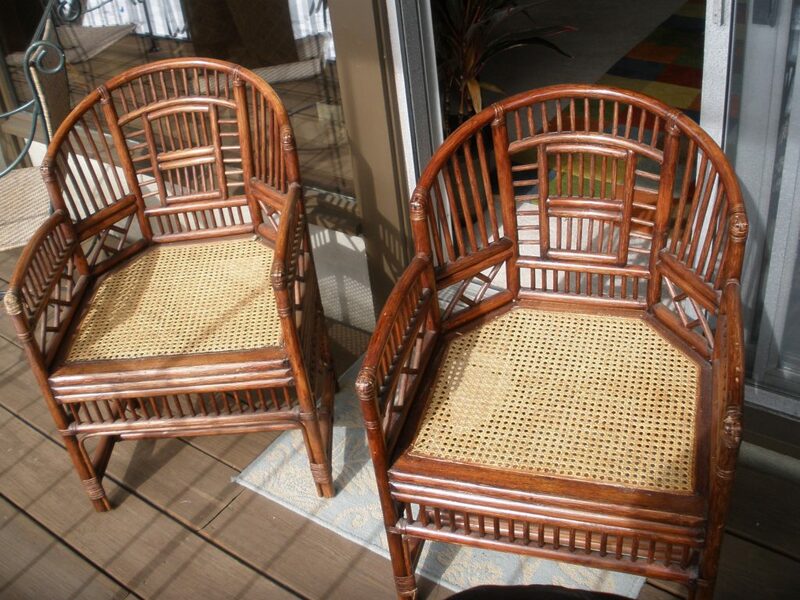 #027386A Two oriental style rattan chairs with cane seats. Buy a pair or just one! Perfect for any room in your house! For more information, please call us at 412-771-6667 or stop by our showroom, 5 minutes from downtown Pittsburgh, Pa, and purchase them today!